*Using Strawberry Flavored Marble Bread. 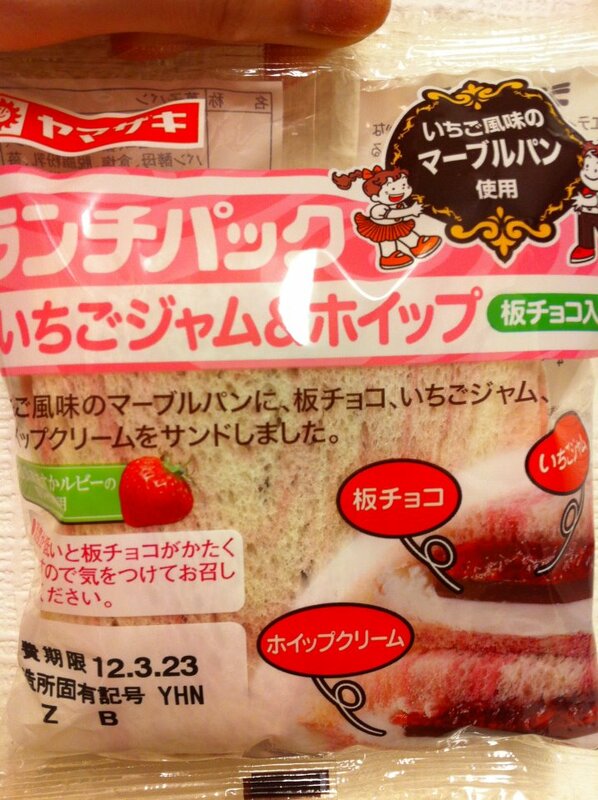 The bread is thicker than other ones (I think) to hold strawberry jam, a chocolate bar and whipped cream together. 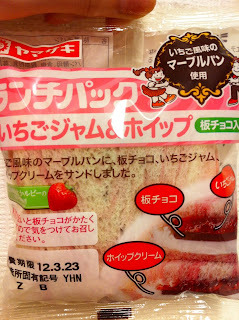 This one uses Asuka Ruby for jam, which is a kind of strawberry from Nara pref. (in Kansai area). I like the design/pattern of the bread and the mixed flavor of the jam and chocolate after having a bite. *A friend of mine visited Kyoto and she got this as a souvenir!